Group training is a super-powerful way to offer personal training at scale. You can now personalise client training experiences, and reduce programming time by simply assigning clients to groups. While it's intuitive to think of groups as training clients in a predefined plan or format, groups can even be configured as "engagement communities" or "sales funnel campaigns". As you can see, you can create groups not just to train clients based on their goals, but also to up-sell, motivate or educate them. With that in mind, we'll now look at how you can create different groups for your personal training business. Let's understand this with an example. Scenario: You have a PT client named Paula, whom you're offering online fat loss training. Paula was initially on free trial that you put on your website, but she purchased for a 6-week online training program, and now she's your active customer. Without groups, you'll have to create an individual fat loss program for Paula, setup a plan template for her plan and then change it later, when you're no longer training her. You'll also have to send her personalised reminders for upgrade, and also engage her with expert fitness tips & guidance. But, with groups, you can streamline the entire process. You can simply make Paula a part of: Fat Loss + Online Bootcamp + Paying Clients group. Since you'd have already defined the behaviour for each training group, it'd be easier to train Paula. She'll get personalised updates about fat loss, along with other clients in the fat loss group, and would also get premium content that you share with your active, paying clients. 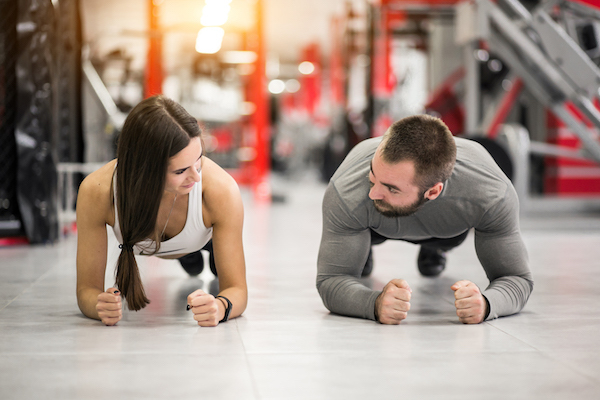 Basically, group training saves you the effort of creating workout plans individually for every client, while also giving you fine-tuned control over how you want to train, engage and motivate your personal training clients. 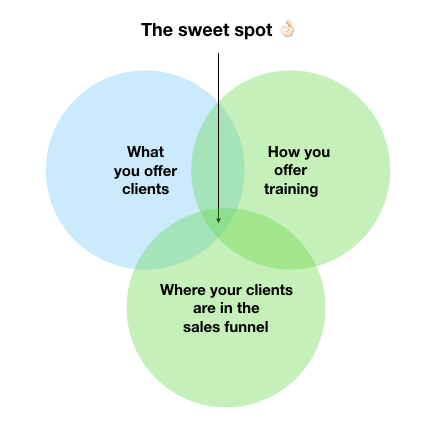 It helps you find the sweet point between what clients can offer, and what you can offer to clients.. at scale. With the aim of getting you quickly started with group training, we'll now walk you through some of the most popular use-cases that leverage the full potential of group training. 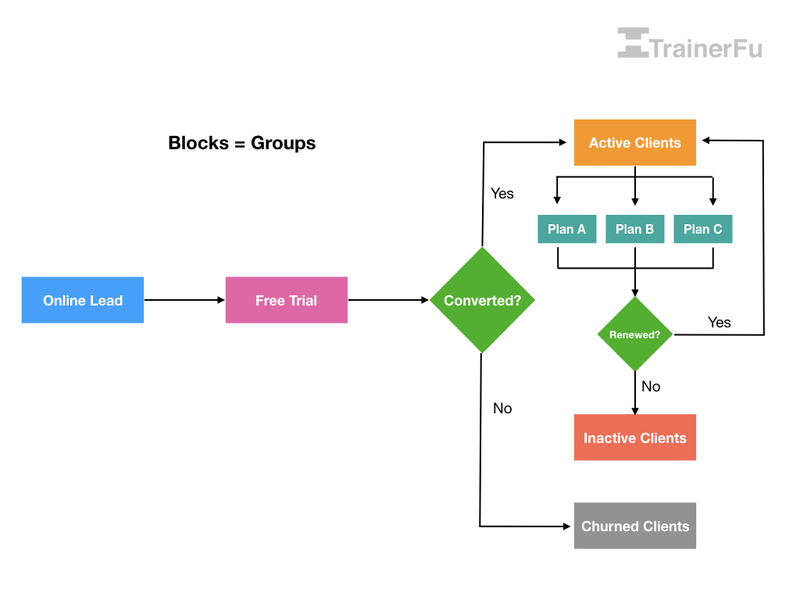 Online bootcamps: If you're offering a free trial on your personal training website, you can now create groups for mapping the captured leads, and use TrainerFu's Zapier integration to get them automatically started on their training plan. In the above diagram, we have explained how you can move clients to different groups, and keep them engaged. To know more about how you can create a fully automated online bootcamp, check out this extensive guide. Niche Training: Selling highly specialised training plans? 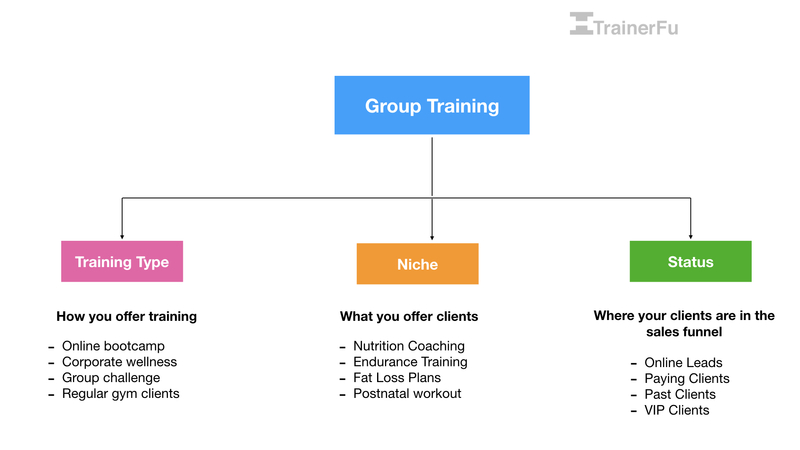 You can create a group for each training format that you offer, so that it's easier for you to onboard, engage and train your personal training clients. The best part? 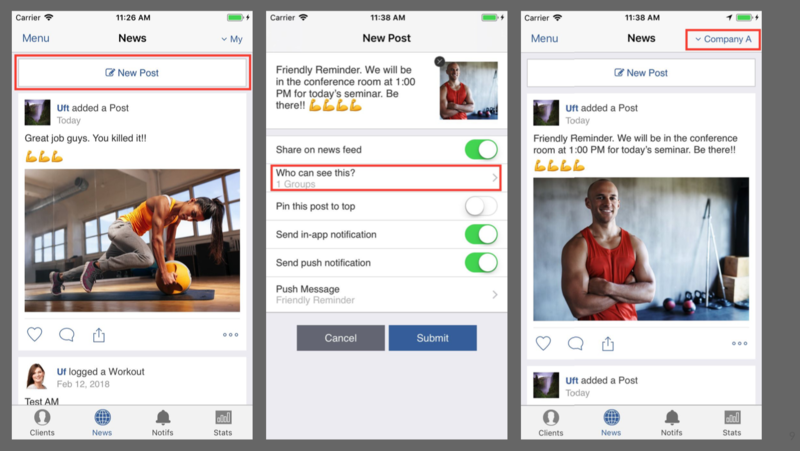 Once you've segmented clients based on groups, you can even use automated messaging to send highly targetted messages, and keep them motivated along their fitness transformation journey. Sales Funnel: Did you know that it's upto 25x more expensive to find a new customer than retain an existing one? You can use group-training to design your entire sales funnel, and engage clients differently, based on where they are in the funnel. For instance, you can share educational content with newly acquired clients (awareness), while give more contextual advice to clients who have already completed their free trial (intent). 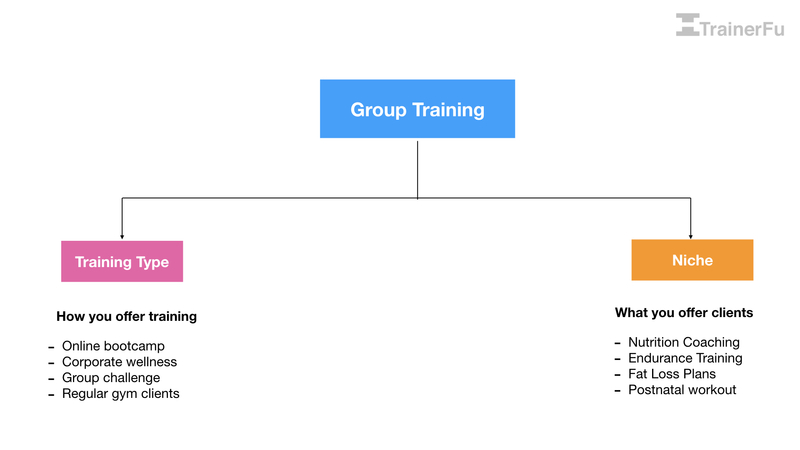 While we shared some of the most popular use-cases for using group training, you can use groups to streamline any process or workflow in your fitness business. If you need help implementing a highly specific group training use-case, please feel free to share your ideas on our forum. You can also write to us at: support@trainerfu.com, and we'll be happy to help you.